26 November 2008, at 8:41a.m. 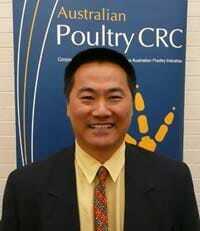 AUSTRALIA - Poultry CRC CEO, Mingan Choct, explains that his organisation is preparing to re-bid in the next CRC selection round. As many of you are aware, the next CRC selection round, for which we are preparing a rebid, has been delayed until the Government delivers its response to the Cutler Report (of which Mary O'Kane's review of the CRC Program is a part). Now that the Minister has announced the Government's plan for the auto industry, it is expected that things will progress quite quickly. Current CRCs and consortia seeking to bid in the next round have been told they should be ready to attend the Department's 'information sessions' as early as next month. The Minister remains committed to announcing the outcomes of the next selection round by mid-June 2009, so we can expect 'streamlined processes' if that deadline is to be met. In the interim, we've been advised by the CRC Association to closely consider the recommendations from Mary O'Kane's review, including the renewed focus on the equal treatment of public benefit versus commercial outcomes. An encouraging aspect of the Poultry CRC's re-bid thus far is the interest shown by independent poultry meat producers in joining a second Poultry CRC. If our bid is successful, this would see the proportion of the industry directly represented at the CRC growing from around eighty percent to more than ninety-five percent. Additionally, some independent egg producers want to join the CRC so they can stay directly in touch with research and education related to the egg industry. I will keep you updated on all these developments over the next few months.